All dressed in white : an under suspicion novel / Mary Higgins Clark and Alafair Burke. Material type: Book; Format: print ; Literary form: Dramas Publisher: New York : Simon & Schuster, 2015Availability: Items available for loan: Butte Public Library [Call number: F CLA] (2). Career of evil / Robert Galbraith. Edition: First North American edition: October 2015.Material type: Book; Format: print ; Literary form: Fiction Publisher: New York : Mulholland Books/Little, Brown and Company, 2015Copyright date: �2015Availability: Items available for loan: Butte Public Library [Call number: F GAL] (1). Checked out (1). Depraved heart / Patricia Cornwell. by Cornwell, Patricia Daniels [author.]. Edition: First edition.Material type: Book; Format: print ; Literary form: Novels Publisher: New York, NY : William Morrow, an imprint of HarperCollinsPublishers, Copyright date: �2015Availability: No items available Lost (2). The guilty [text (large print)] / David Baldacci. Edition: First edition.Material type: Book; Literary form: Fiction Publisher: New York, NY : Grand Central Publishing, 2015Availability: Items available for loan: Butte Public Library [Call number: LPB F BAL] (1). Rogue lawyer / John Grisham. by Grisham, John [author.] | Deakins, Mark [narrator.]. Edition: Unabridged.Material type: Sound; Literary form: fiction Publisher: Westminster, Md. : New York : Books on Tape ; Random House Audio, Availability: Items available for loan: Butte Public Library [Call number: CDBK GRI ] (2). by Patterson, James, 1947- [author.] | Ellis, David, 1967- [author.] | Plummer, Th�er�ese [narrator.] | Green, Dan, 1975- [narrator.]. Edition: Unabridged.Material type: Sound; Literary form: fiction Publisher: [New York] : Hachette Audio, �2015Availability: Items available for loan: Butte Public Library [Call number: CDBk PAT] (1). Pretty girls : a novel / Karin Slaughter. by Slaughter, Karin, 1971- [author.]. Edition: First edition.Material type: Book; Format: print ; Literary form: Fiction Publisher: New York, NY : William Morrow, an imprint of HarperCollinsPublishers, Copyright date: �2015Availability: Items available for loan: Butte Public Library [Call number: MYS F SLA] (2). Edition: First edition.Material type: Book; Format: print ; Literary form: Fiction Publisher: New York : Minotaur Books, 2016Copyright date: �2016Online access: Cover image Availability: Items available for loan: Butte Public Library [Call number: MYS F ROS] (1). Lost (1). The promise / Robert Crais. Material type: Book; Format: print ; Literary form: Novels Publisher: New York : G.P. Putnam's Sons, Copyright date: �2015Availability: Items available for loan: Butte Public Library [Call number: MYS F CRA] (2). Edition: 1st Ember ed.Material type: Book; Format: print ; Literary form: Fiction ; Audience: Adolescent; Publisher: New York : Ember, 2012, �2003Availability: Items available for loan: Butte Public Library [Call number: YA F MCN] (1). Angels burning / Tawni O'Dell. Edition: First Gallery Books hardcover edition ; First Gallery Books paperback edition.Material type: Book; Format: print ; Literary form: Novels Publisher: New York : Gallery Books, 2016Availability: Items available for loan: Butte Public Library [Call number: MYS F ODE] (1). Checked out (1). The first order / Jeff Abbott. Edition: First Edition.Material type: Book; Format: print ; Literary form: Novels Publisher: New York : Grand Central Publishing, 2016Copyright date: �2016Availability: Items available for loan: Butte Public Library [Call number: MYS F ABB] (2). Fool me once / Harlan Coben. Material type: Book; Format: print ; Literary form: Novels Publisher: New York : Dutton, 2016Availability: Items available for loan: Butte Public Library [Call number: MYS F COB] (1). Lost (1). The mulberry bush : a novel / Charles McCarry. 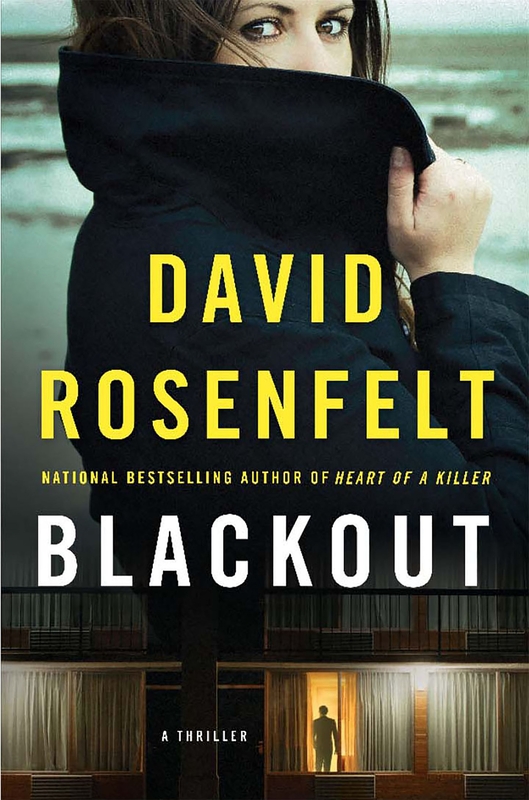 Edition: First edition.Material type: Book; Format: print ; Literary form: Fiction Publisher: New York : Mysterious Press, Copyright date: �2015Availability: Items available for loan: Butte Public Library [Call number: F MCC] (1). by Kellerman, Jonathan [author.] | Rubinstein, John, 1946- [narrator.]. Edition: Unabridged.Material type: Sound; Literary form: fiction Publisher: New York : [Westminster, MD] : Random House Audio; Books on Tape, Copyright date: �2016Availability: Items available for loan: Butte Public Library [Call number: CDBk KEL] (1). Midnight sun [sound recording] / Jo Nesb�. by Nesb�, Jo, 1960- | Gordon, Kim, 1953- [nrt]. Edition: Unabridged.Material type: Sound; Literary form: fiction Publisher: [Westminster, MD] : New York : Books on Tape ; Random House Audio, Availability: Items available for loan: Butte Public Library [Call number: CDBk NES] (1). Scandalous behavior : a Stone Barrington novel / Stuart Woods. by Woods, Stuart [author.] | Roberts, Tony, 1939- [narrator.]. Edition: Unabridged.Material type: Sound; Literary form: fiction Publisher: New York, NY : Penguin Audio, Availability: Items available for loan: Butte Public Library [Call number: CDBk WOO] (1). Material type: Book; Format: print ; Literary form: Fiction Publisher: Nottingham, UK : Angry Robot, 2015Availability: Items available for loan: Butte Public Library [Call number: PB SciFi F NAA] (1). Material type: Book; Format: print ; Literary form: Fiction Publisher: New York, New York : New American Library, Copyright date: �2016Online access: Cover image Availability: Items available for loan: Butte Public Library [Call number: F BAR] (2). Burn / James Patterson and Michael Ledwidge. by Patterson, James, 1947- [author.] | Ledwidge, Michael [author.]. Edition: First oversize mass market edition.Material type: Book; Format: print ; Literary form: Fiction Publisher: New York : Vision, 2015Availability: No items available Checked out (1).